Happy to inform that the team at Patterns has prepared a reference architecture to implement machine learning algorithms and related technologies in enterprises. ML and cognitive technologies have huge potential and are bound to make inroads into IT landscapes of organizations. 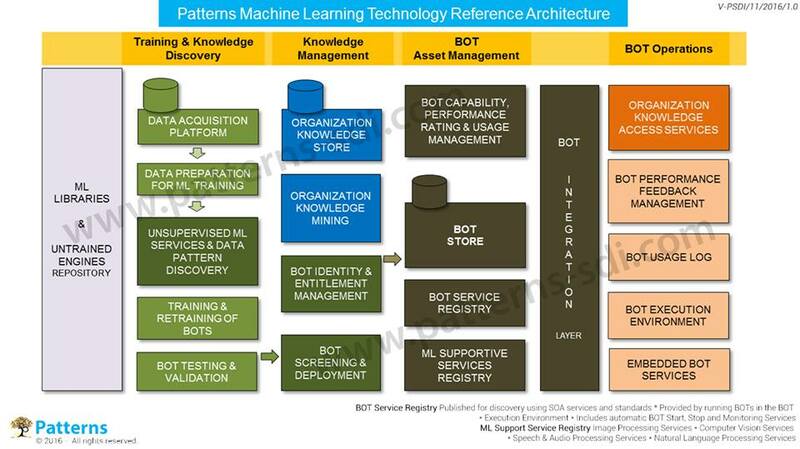 A planned and organized deployment of ML into an organization’s IT landscape can provide huge benefits. Will be happy to provide our perspective on any of your queries. B. Suresh Kamath holds a post graduate M Tech Degree in Computer Science from IIT, Madras, India and is a practicing enterprise scale designer with over three decades of design experience. Presently he is the Managing Director and a Design Trainer at Patterns Software Design Institute Pvt Ltd.